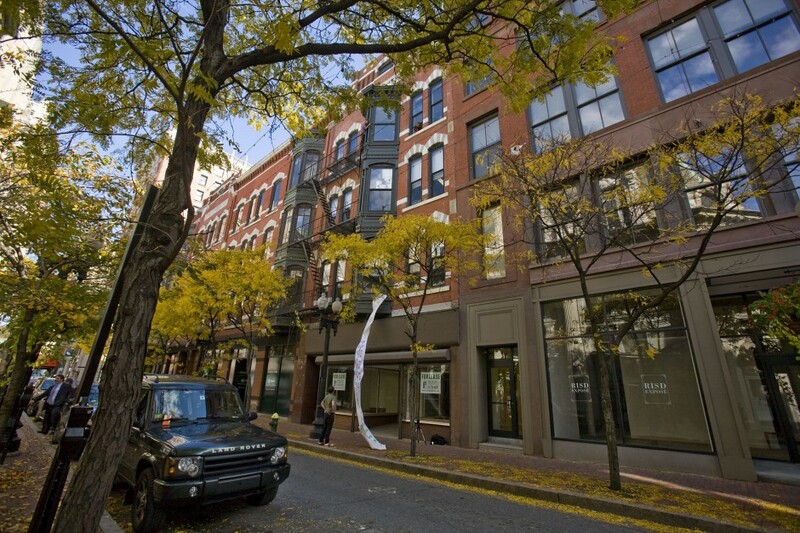 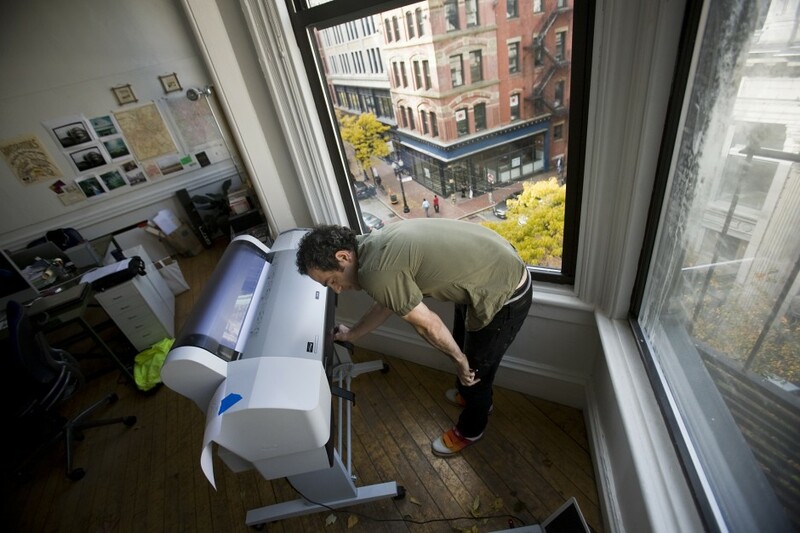 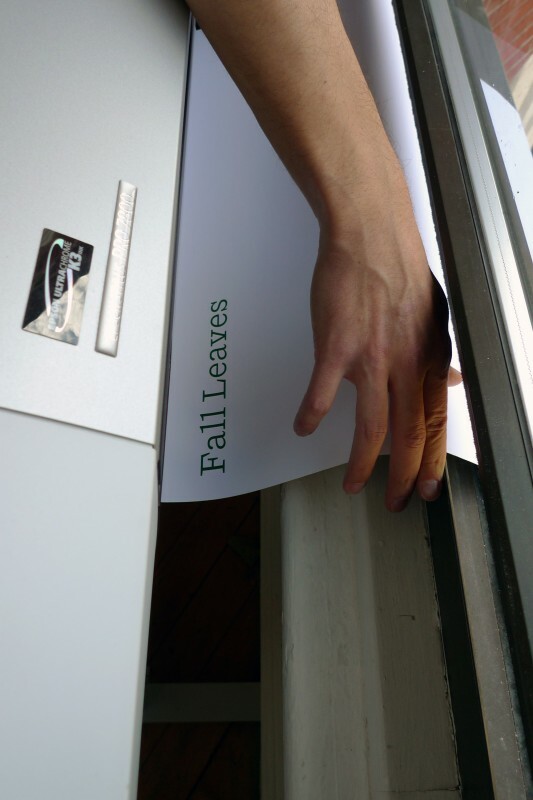 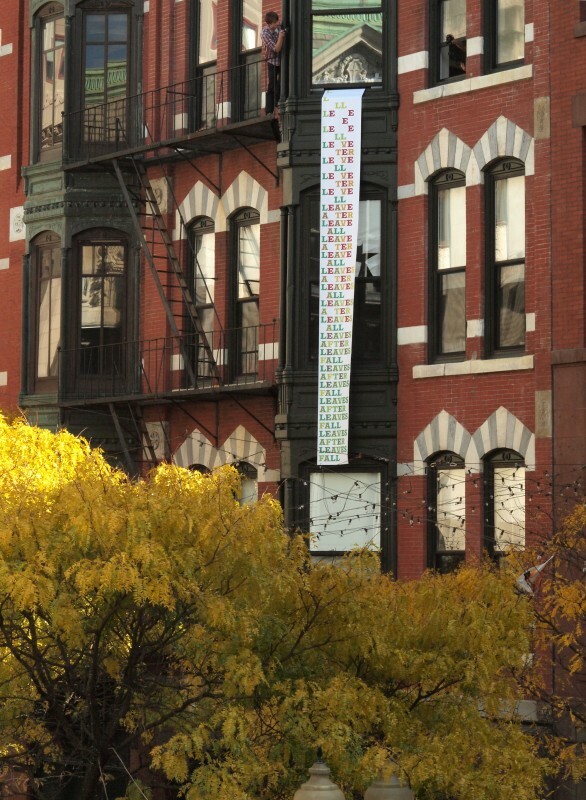 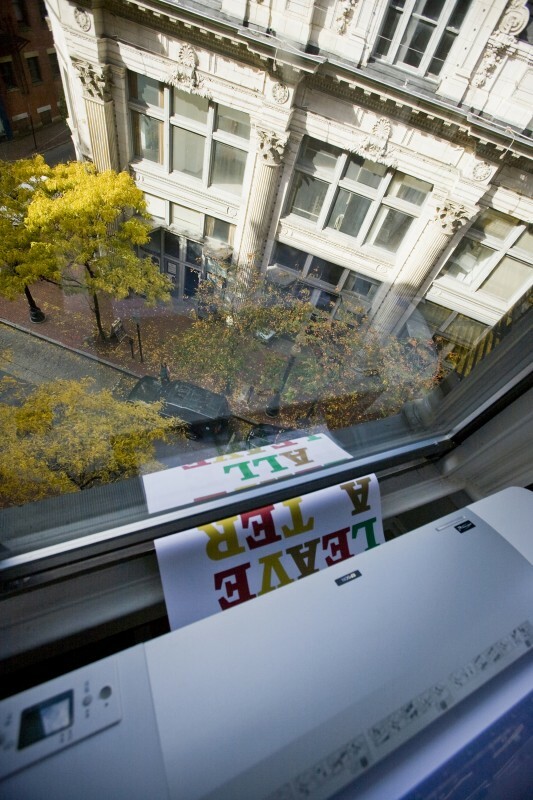 “Fall Leaves” is a poem written by Brazilian designer Guilherme Falcão and produced and printed by The Design Office out of our window in downtown Providence. 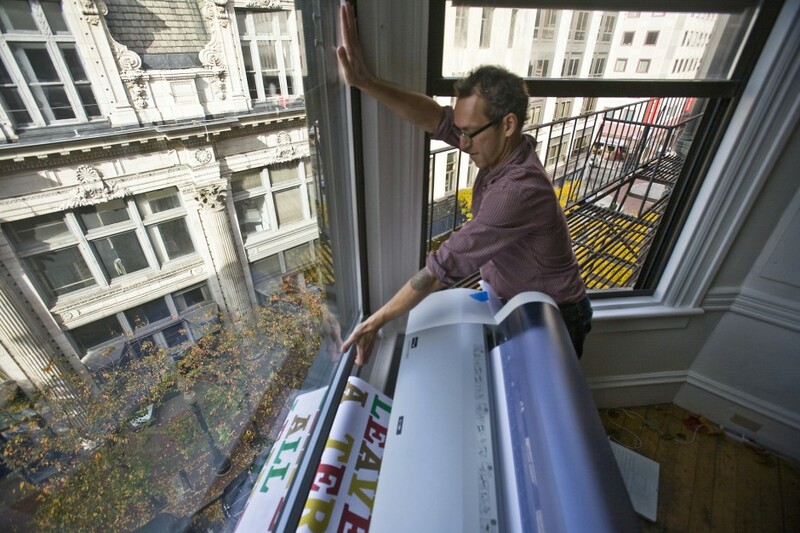 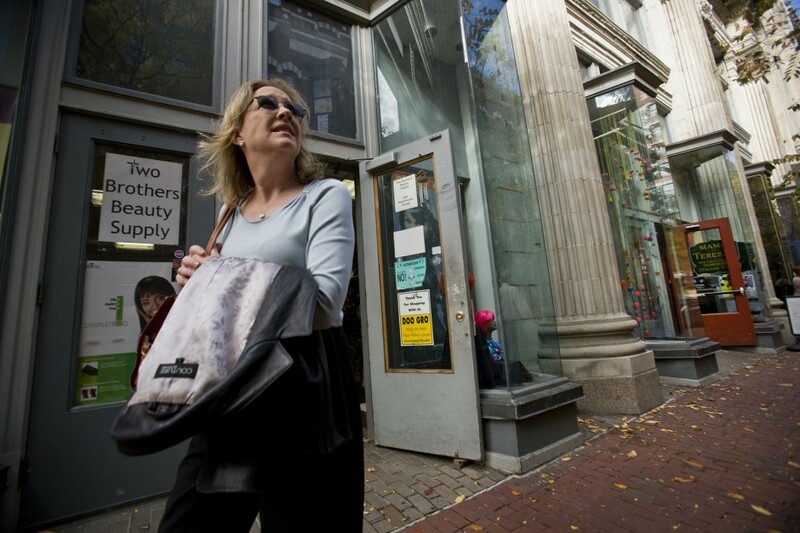 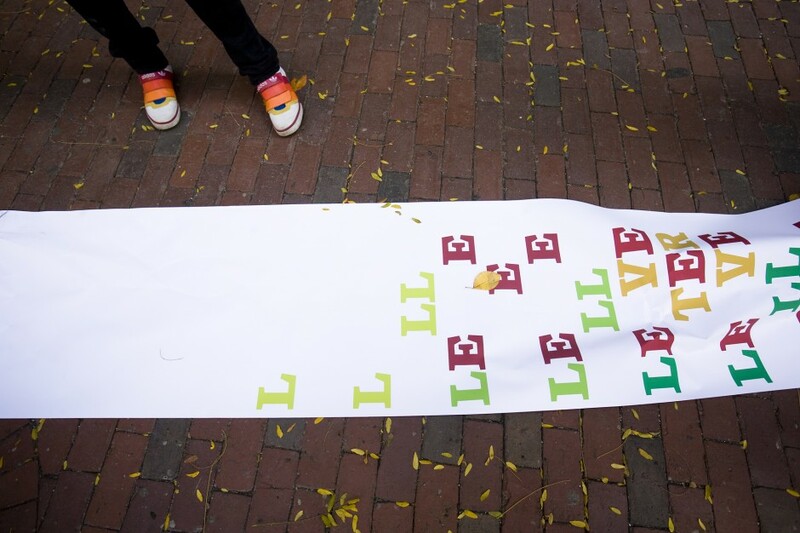 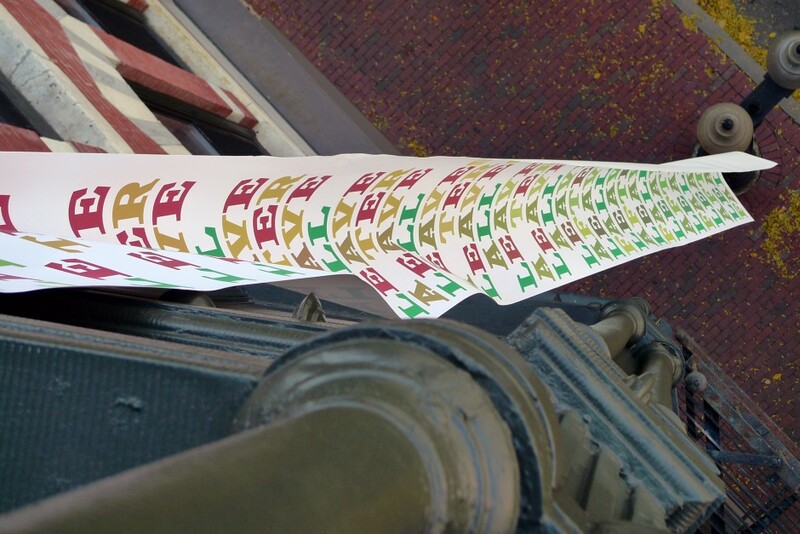 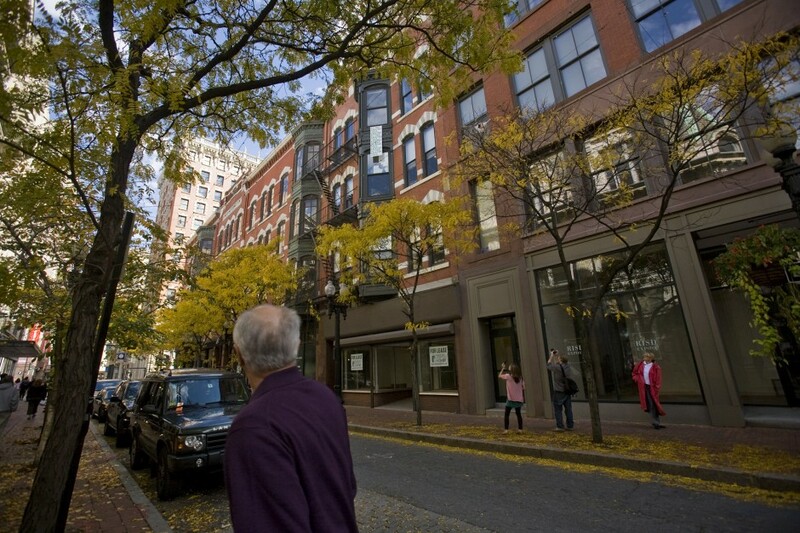 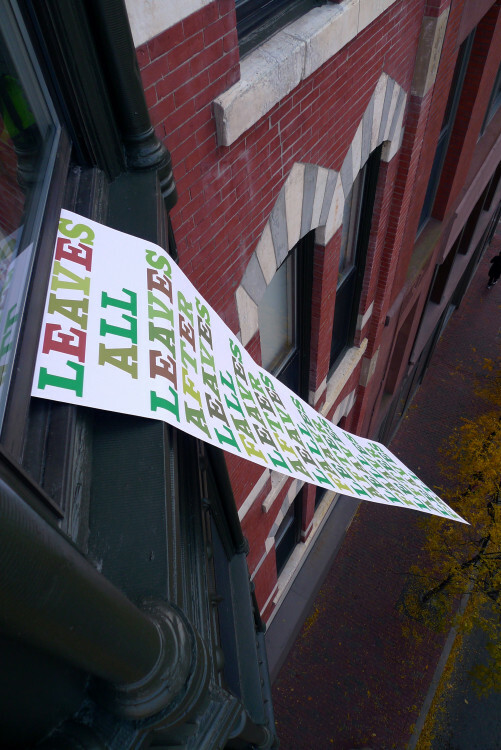 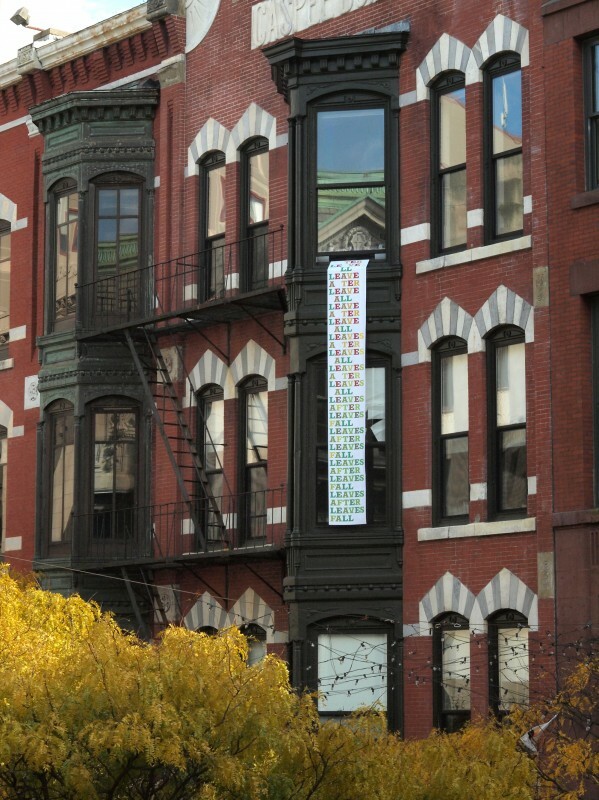 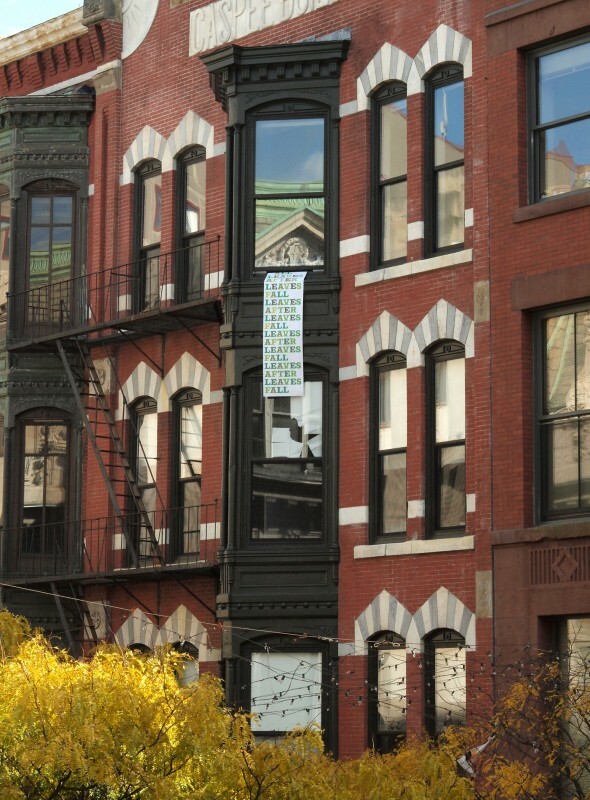 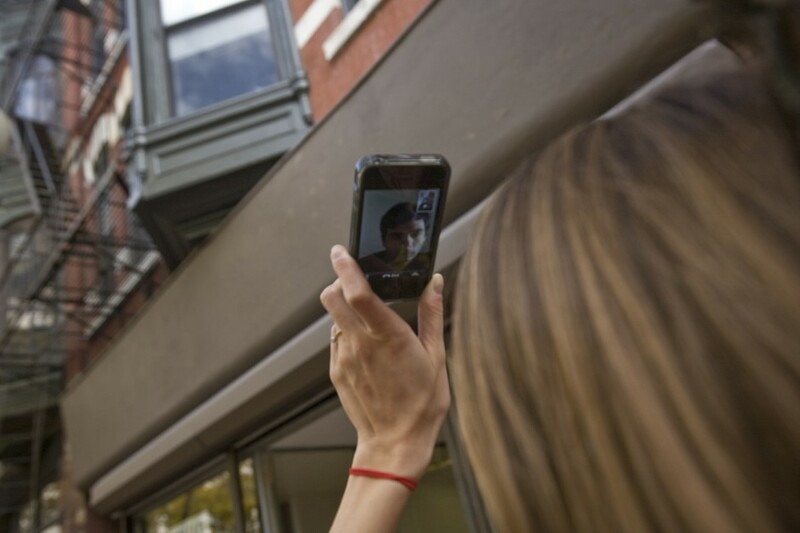 Written in response to our call for submissions, “Fall Leaves” is 2-feet wide by 24-feet long and took about one hour and fifteen minutes to print from our 4th floor office at 204 Westminster down to just above street level. 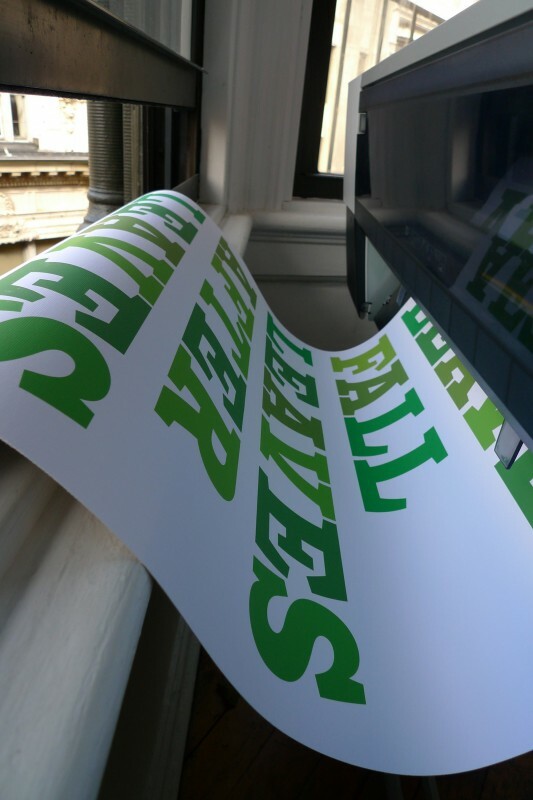 The poem is a palindrome of five words that repeats itself ten times — evolving typographically throughout. 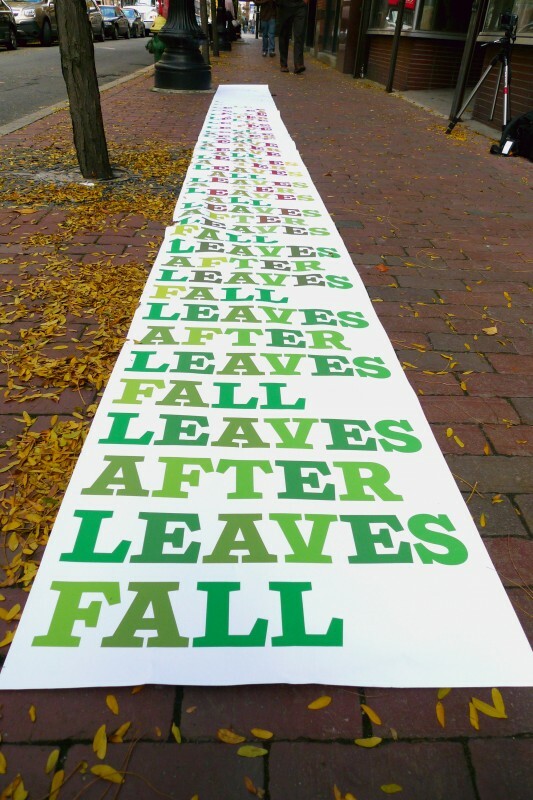 The piece is timed to autumn with oversized blocky letters as stand-ins for the leaves, homogenous in color and position at start, colored in midway, and absent at the end. 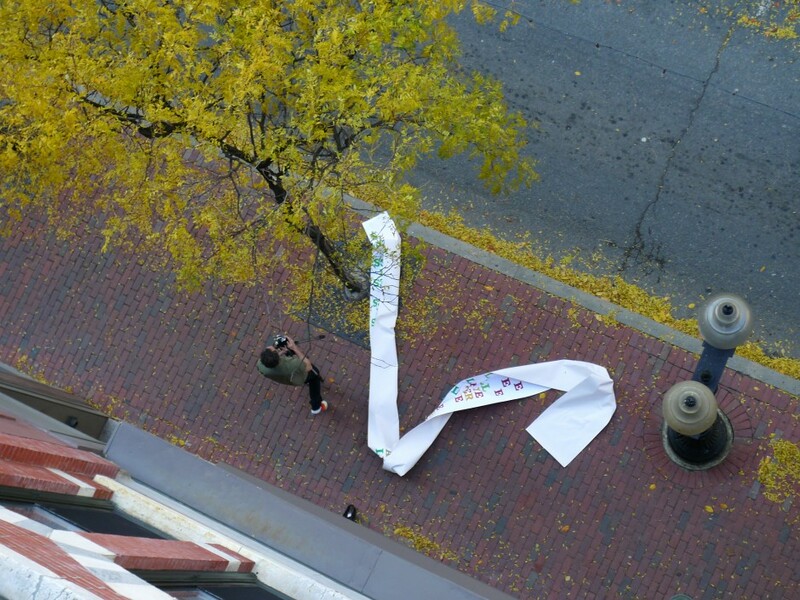 The piece could evolve then loop forever if it were not for the limitations of ink, paper and our own attention. 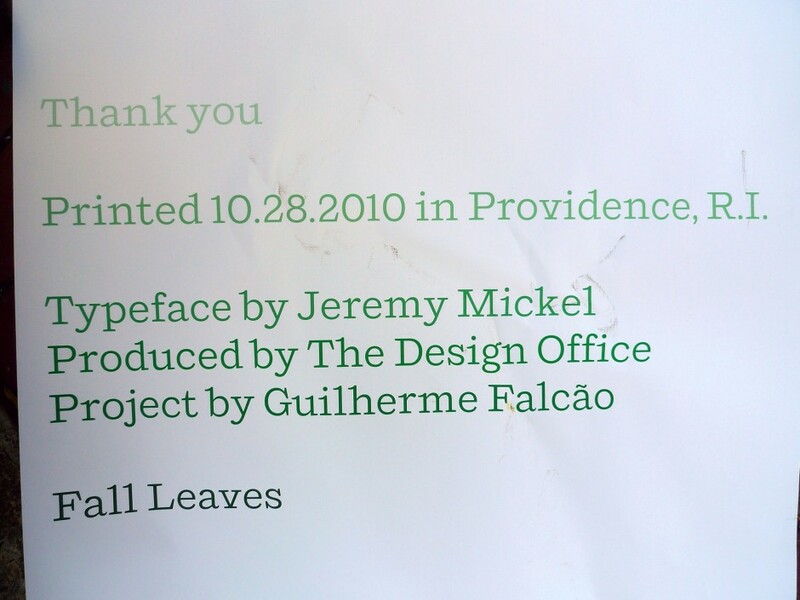 The poem is typeset in Shift, an original typeface by our own Jeremy Mickel. 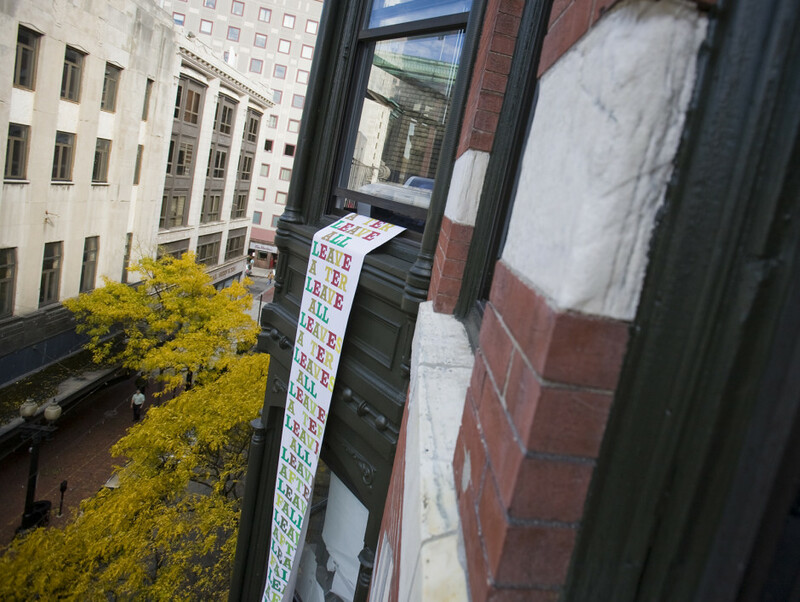 This project marks its first use.